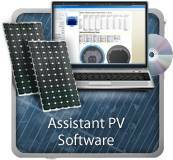 The new PV Studio design software from The SolarPathfinder Company is a valuable tool for installers. 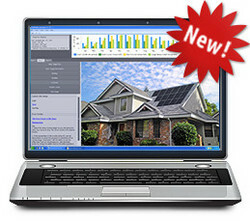 It allows customers to create advanced PV reports. 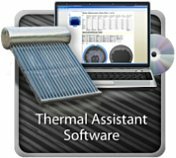 This program will allow the installers to minimize the time involved in designing a system and maximize the output production of their system. 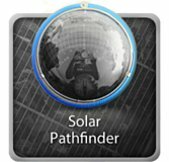 With this program the user can design the shape of the roof, select their inverters and panels, and arrange the panels all on one page. At the job site, instead of walking around on the roof to determine the best location for the panels to be placed, simply take a photo at every corner of the roof. Once these photos have been loaded into the software, the user will be able to see a heat map displayed. This will let the user know the shading percentages for each location on the roof, and therefore determine which location would provide the maximum output for the array. Another feature in PV Studio allows you to copy your original design and make changes such as the tilt angle, panel orientation, or even the location and number of panels. The Energy Production box will show the projected output per month and annual production totals for both the original and modified design. •	Provide multiple array orientations/tilts within the same report. •	See client’s energy usage history alongside system output. •	Create fast reports with the new disable module layout. •	Make reports for ground or roof mounted systems. •	Overlay panels with the new site image feature. Multiple array orientation(s)/tilt(s) and design(s) within the same report.